It’s #NativeAmericanMonth #NativeAmericanHeritageMonth & we need to talk about Anti-Black #racism & #colorism in NDN Country. So I did along with other related issues including racism in disability activism. 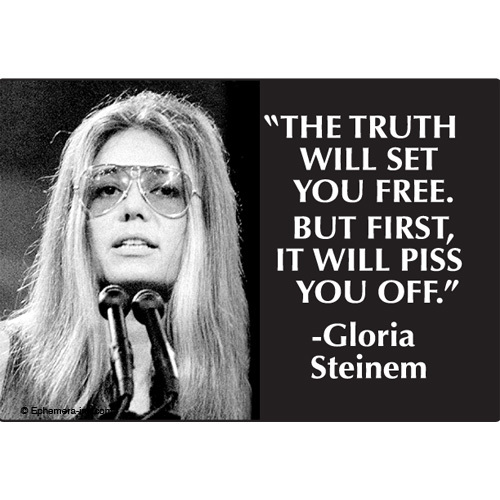 Image Source: “Gloria Steinem Quote.” Image. Ephemera-Inc.com 01 Jun. 2011. <http://www.ephemera-inc.com/wholesale/index.php?page=shop.product_details&flypage=&product_id=28887&category_id=0&option=com_virtuemart&gt;. Sometimes you just need someone to hold your hand and mentor you through things.